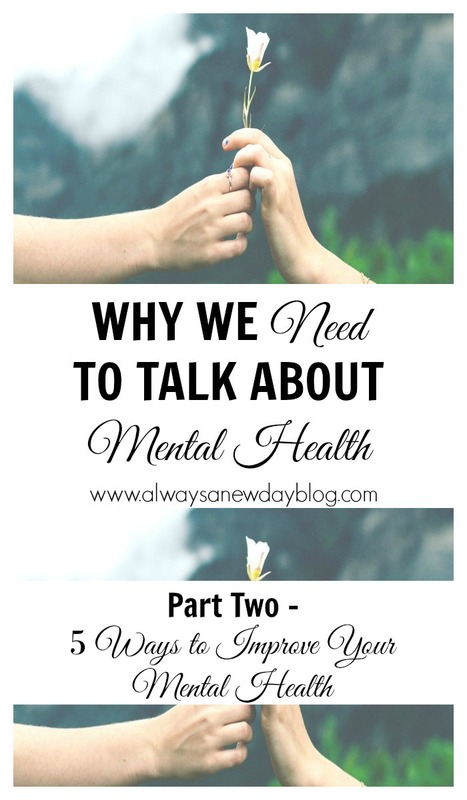 Thank you for your continued support for my mental health series. 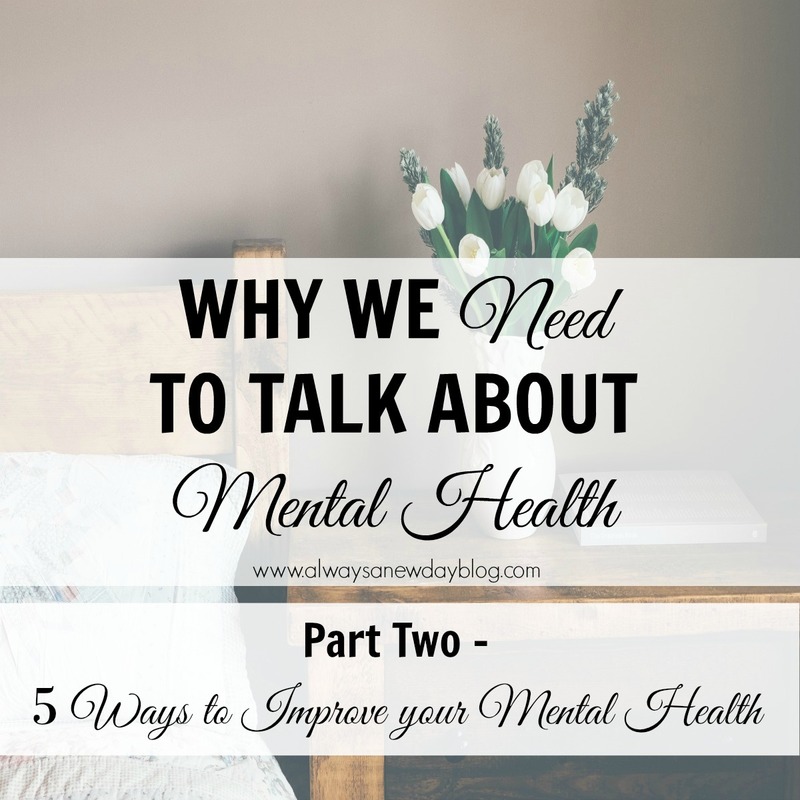 Why we need to talk about mental health is reaching greater levels of importance. More moms are coming forward to share their stories; more friends have opened up. No matter what you feel causes stress, sadness, and/or anxiety, my hope is that you or someone you love find avenues to help. Today's post shares five routines you can incorporate into daily life to help alleviate what is causing hardship. Maybe you will find something to try or perhaps something where you can dedicate more time (even if it's just a bit) to your mental well being. Disclaimer: I am not a doctor or mental health professional. The information I am sharing is based on personal experience. Before seeking the best fit for your mental health care, please see your regular doctor for guidance. I know, I know. How do you find time to sweat it out in our busy lives? I firmly believe in making time - get up earlier, go for walks, hit the gym or a class, find an accountability partner that pushes and encourages you. All I know is when I feel stressed or anxious, I want to physically MOVE. When I do so, it reminds me I am alive, and I AM STRONG. While I do most workouts at home, I still love my boot camp once or twice a week. When I am pushed (especially since I am approaching 40! ), I feel empowered. That feeling lasts long after you move. Try it. Kids, obligations, and just life can interfere with the shut-eye. And, maybe you can function on 5-6 hours of sleep, but the truth is - we need more! I will admit - sleep is hard for me. Once the kids are down, the quiet overcomes me, and I am scrolling through social media or catching up on a favorite show. This quiet time of NOT THINKING is almost Heaven for me. With anxiety like mine, my thoughts are in constant motion - planning, obsessing, worrying. This quiet time allows my mind to turn off. Yes, sleep does too, and I need to get better at going to bed at a decent hour. No matter what, quality sleep is key to mental functioning. You know I love my coffee, but I also make water a necessity too. This task has been one I am slowly improving. I keep my big, beloved Yeti full and drink all day long. I should keep track of my intake (but the thought of keeping track of ONE MORE THING...), but I do carry this cup with me everywhere I go. Once the coffee is done in the morning, I make the switch. Be more purposeful in your water intake and see if just a small improvement works for your mental health. When those thoughts crowd my anxious mind, I know I am in need of me time - read a book, get crafty, or make dates (and keep them) with friends. PLAN PLAN PLAN. Schedule it in like an appointment. For me, when I know that me time is coming, I feel a bit of release and even excited. That excitement can even overcome the anxiety. Win-win. Finding something to believe in makes a world of difference. For me, it's always prayer. Whether I am doing a daily devotional or listening to some of my favorite Christian music, I always seem to find the Word that speaks right to me. When that happens, I know I am not alone. When my down or worried moments come, it's the first thing I do. God has never left before, and I know He won't as I grieve or even as I panic. Just this week, I woke up to this video and what a difference this message made. Watch it. Maybe it will speak to you too. What are ways you deal with daily worry/anxiety/sadness? I love posts or advice from others who have such insight into mental health. I am learning everyday, and I do not expect to ever be cured from my grief or anxiety. But, when I am aware or when something triggers either one, it is one of these five ways I find peace. For the previous posts on this topic, you can click the links below. As always, thanks for reading and sharing what's becoming a passion of mine. Have a blessed weekend!